There are lots of programs coming up in May, so I’ll spare you my clever repartee. We should note that sites are generally open on Monday, May 31, for Memorial Day. But as we like to say here at Trailheads, always check ahead to make sure that (sing it with me, kids) the site you want to visit will be open when you plan to be there. 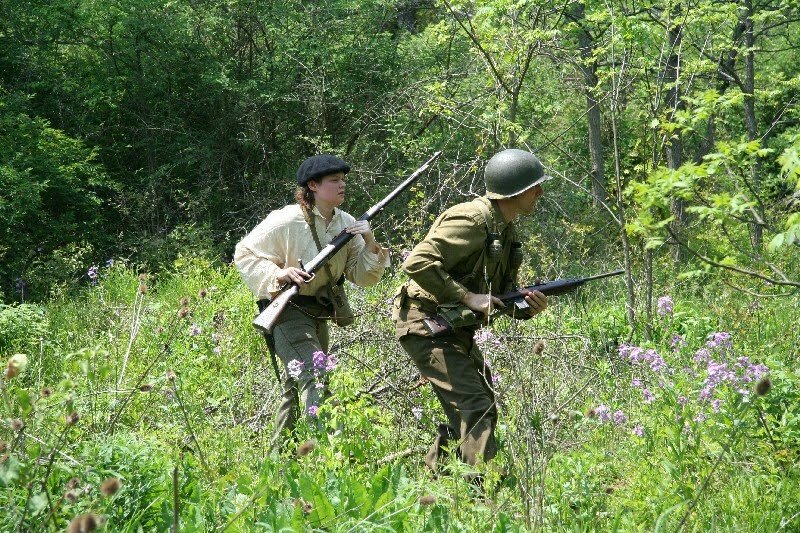 One last note: May 18-20 in Harrisburg is the Statewide Conference on Heritage, combining Byways to the Past and Heritage Partnership Conference. PHMC is one of the co-sponsors. If you read Trailheads weekly, you’ve seen previous posts on the Pennsylvania History Bill of Rights. The PHBR (as we lovingly, and bureaucratically, call it) is based on provisions of the Constitution of the Commonwealth of Pennsylvania and on the requirements of the History Code (which outlines the responsibilities of the PHMC). The six principles that make up the PHBR were formally adopted by the PHMC’s governing body on March 17, 2010. The History Bill of Rights is a (more or less) concise statement of what the people of Pennsylvania should be able to rely on, history-wise. Since Charter Day, we’ve been asking Pennsylvanians to tell us which of the principles they think are most important. Our Trailheads poll drew 177 voters (or one of you voted 177 times). You could choose up to 3 of the provisions as most important, which resulted in a total of 486 votes (just shy of 3 votes per person). The poll results are to the right of your screen. Adequate public and private support for Pennsylvania’s historic properties and museums (not just PHMC’s) was the top vote getter with 79% of total votes. Can I get an amen? The Pennsylvania History Bill of Rights has its own Facebook page, and over 100 people “like” it. You can too. In a much-appreciated show of support for the PHBR, the board of the Society for Pennsylvania Archaeology adopted the provisions at its meeting on April 9. If you know of an organization that would like to do the same, a sample resolution is available, along with contact information for letting us know. And finally, because we’ve gotten addicted to feedback, you can still weigh in on which principles of the PHBR are most important to you. An online survey lets you voice your opinion. Or write a comment on this post. We really do like hearing from you. 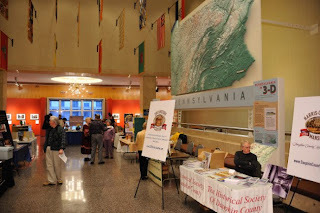 Thanks to all of you who are finding ways to support the Pennsylvania Trails of History. Keep up the good work. 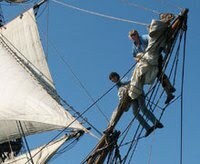 Program alert: On Thursday, April 29, filmmaker Ric Burns will be at the Erie Maritime Museum to introduce a special screening of his new film, Into the Deep: America, Whaling, and the World, a co-production of Steeplechase Films and American Experience/WGBH Boston (broadcast premiere is May 10 on PBS). 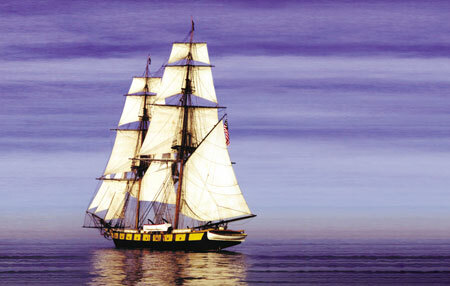 The Flagship Niagara appears in the documentary, playing the 19th-century whaler Essex, and the event and reception will benefit the Niagara's programs. The Ship's Log has all the details. 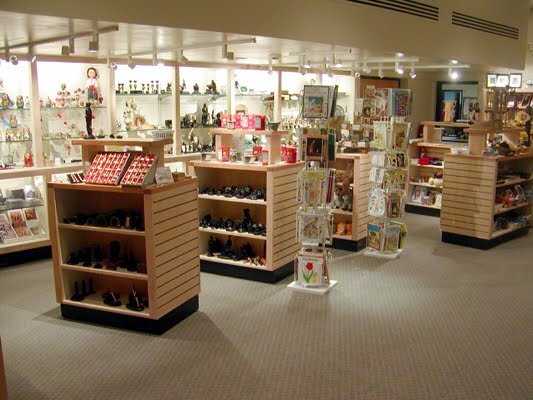 Those of you who regularly (or irregularly) go to historic sites and museums know that no visit is complete without a trip to the museum store. Whether you’re cynical about this or not is a matter of personal taste. But the truth is that shopping can be a meaningful part of the museum experience—for visitors as well as for the museum itself. A well-run shop with unique items related to the history and mission of the site is a real asset. As a visitor, it extends your connection with the site and helps you take a piece of it home. And it provides crucial financial support for the museum’s programs and operations. Sorry that sounds so much like a Museum Studies 101 textbook, but there it is. On the Trails of History, our sites strive to provide shoppers (who might be visitors or members of the local community) with a wide selection including souvenirs and regional foods, fine art and one-of-a-kind craft items. Each one is different, depending on the site’s historical focus, location, and visitation. All of them are managed in cooperation with a “friends of” group that supports the site and partners with PHMC in our effort to provide an enjoyable, educational, and well-rounded visit. It seems relevant to note here that members of these groups usually receive at least a 10% discount at their site’s museum store. On the Military History Trail, museum stores feature a variety of items including books and reproduction maps, prints, and posters. Visit Erie Maritime Museum, Bushy Run Battlefield, Brandywine Battlefield, and Pennsylvania Military Museum (Fort Pitt Museum reopens to the public April 17, and Washington Crossing Historic Park is currently closed to the public—watch this space for updates). Sites on the Industrial Heritage Trail offer samples, reproductions and hand-crafted items related to the industry they represent (such as iron goods at Cornwall Iron Furnace, bottles of oil at Drake Well Museum, or hand-crafted wooden items at Pennsylvania Lumber Museum) and to the people who worked in that industry (such as the many ethnic groups of Pennsylvania’s anthracite coal region at Anthracite Heritage Museum or Eckley Miners’ Village or the multitude of workers who made the railroads run at the Railroad Museum of Pennsylvania). The Historic Homes Trail includes museum stores featuring items related to the residents of the houses, their careers and interests, and their aesthetic tastes. Reproduction domestic items representative of the home’s time period(s) may also be found when you visit Graeme Park, Joseph Priestley House, or Pennsbury Manor (we’ll update you when public schedules at Conrad Weiser Homestead and Hope Lodge are announced). Sites on the Rural Farm and Village History Trail showcase an array of hand-crafted items such as textiles, pottery (redware and stoneware), food products, and pieces related to the architecture and historic structures of the site and its region. 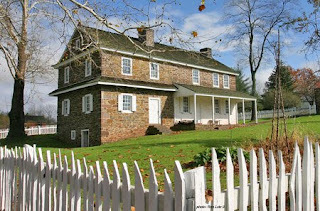 Check out Daniel Boone Homestead, Ephrata Cloister, Landis Valley Village and Farm Museum, Old Economy Village, and Somerset Historical Center. Spanning all of the trails is the State Museum of Pennsylvania, whose museum store is a cooperative program between the museum and the Contemporary Crafts Marketing program of Harrisburg Area Community College. 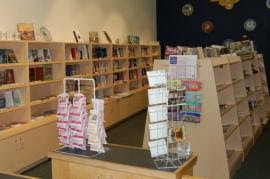 In addition to the in-person shopping experience offered at our sites, online shopping is increasingly available on the Trails of History (you’ll see this noted on the appropriate websites) or through Pabookstore.com. There’s just one week left to vote on the Pennsylvania History Bill of Rights poll (to the right of your screen). One of the first posts I wrote for Trailheads (way back in August) was about our volunteer-of-the-year honorees for 2009. I mentioned how much we rely on volunteers to carry out the work of our historic sites and museums. That is truer now than it was even then. So as we approach National Volunteer Week (April 18-24), I thought it made sense to do a little recruiting. Is this a blatant cry for help? You bet it is. But as any of you who have volunteered your time for a worthy cause well know, the rewards are great. The sites on the Trails of History offer tremendous opportunities to support and preserve Pennsylvania’s rich heritage and to help make it accessible and exciting to the public. In western Pennsylvania, you can work with the Erie Maritime Museum and Flagship Niagara, Drake Well Museum in Titusville, Old Economy Village in Ambridge, Bushy Run Battlefield in Jeannette, or Somerset Historical Center. Folks in the northern tier with a love of the outdoors may find the Pennsylvania Lumber Museum in Galeton to their liking. 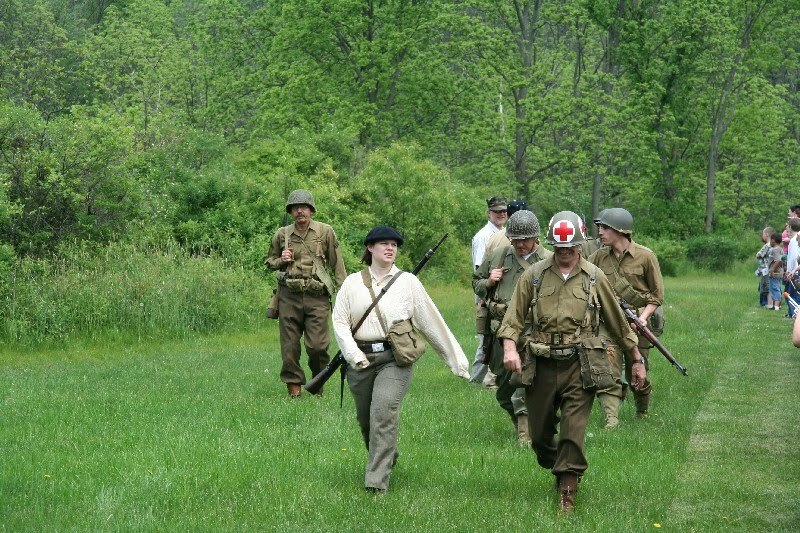 Sites in the central part of the state include the Pennsylvania Military Museum in Boalsburg, Joseph Priestley House in Northumberland, Cornwall Iron Furnace, and the State Museum of Pennsylvania in Harrisburg (the Pennsylvania State Archives welcomes volunteers as well). Northeastern Pennsylvanians can volunteer at the Pennsylvania Anthracite Heritage Museum or Scranton Iron Furnaces in Scranton or at Eckley Miners’ Village in Weatherly. Moving into southcentral Pennsylvania, we have opportunities at Conrad Weiser Homestead in Womelsdorf, Daniel Boone Homestead in Birdsboro, Ephrata Cloister, Landis Valley Village and Farm Museum in Lancaster, and Railroad Museum of Pennsylvania in Strasburg. And heading east into the Philadelphia area, we have Brandywine Battlefield in Chadds Ford, Hope Lodge in Fort Washington, Graeme Park in Horsham, Pennsbury Manor in Morrisville, and Washington Crossing Historic Park. That laundry list doesn’t do justice to the thrills, spills, and chills awaiting volunteers on the Trails of History. If anyone reading this is a volunteer at one of our sites, please feel free to add a comment--click on the number next to the word “Comment” in the heading to this post--and share your (far more interesting) insights. Just one more way you’ll be helping us out. My apologies to Beastie Boys. And to anyone who will now have their song stuck in your head all day. And to anyone who hates wordplay in titles. I couldn’t help myself, apparently. If it’s any consolation, I do have the song firmly wedged in my brain (even Toni Basil’s “Oh, Mickey” hasn’t been able to dislodge it). 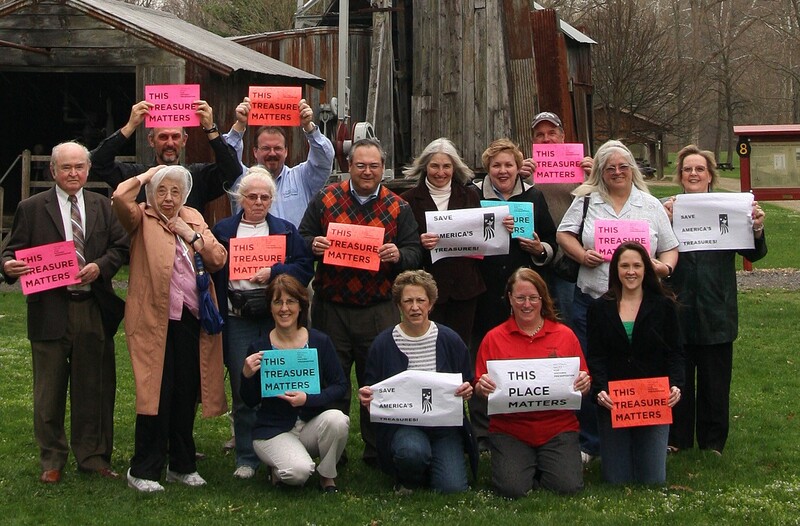 Two weeks ago, Trailheads focused on the Pennsylvania History Bill of Rights and reported that people who visited sites on the Trails of History on Charter Day were asked to share their opinion on these rights by voting. The results are in. Almost 1500 votes were cast on March 14. Each voter had up to 3 sticky notes with which to indicate their support, so that’s at least 500 people (I think). Receiving 24% of votes cast: Current and future generations are assured that historical resources are preserved for their enjoyment and use. 22%: Museums, historical societies, and historic sites receive adequate public and private support to maintain high standards of stewardship and public access. 19%: Pennsylvania’s students understand history in the context of local, national, and world events. 17%: Communities retain their historic character that is essential to attracting and retaining residents, businesses, and visitors. 11%: Citizens have access to the permanent records of government and the permanently valuable documents which tell the history of the Commonwealth. 8%: The Commonwealth maintains a competitive position as a premier tourism destination for heritage travelers. Many of you have responded to the Trailheads poll (to the right of your screen near the top of the blog)—way more than any poll we have put up in the past. Because the response has been so good, the life of the poll has been extended 2 weeks to give more of you a chance to exercise your franchise. To see where the voting currently stands, click on “Show results” at the bottom of the poll. For Trailheads who want another way to show support for the History Bill of Rights, you can now become a fan on Facebook (or if Facebook has already done away with that feature by the time you are reading this, then please "like" us). Tell your friends. Thank you to those who have already voted and shared this information. We don’t take it for granted.